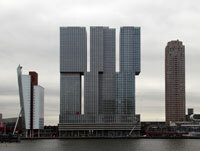 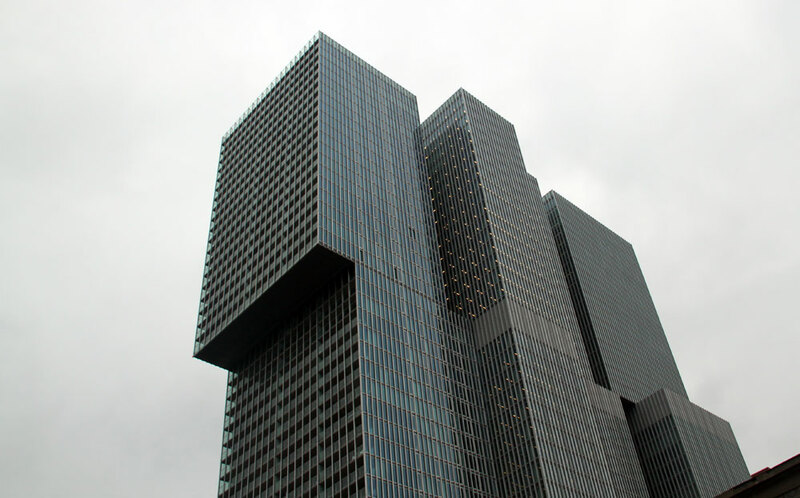 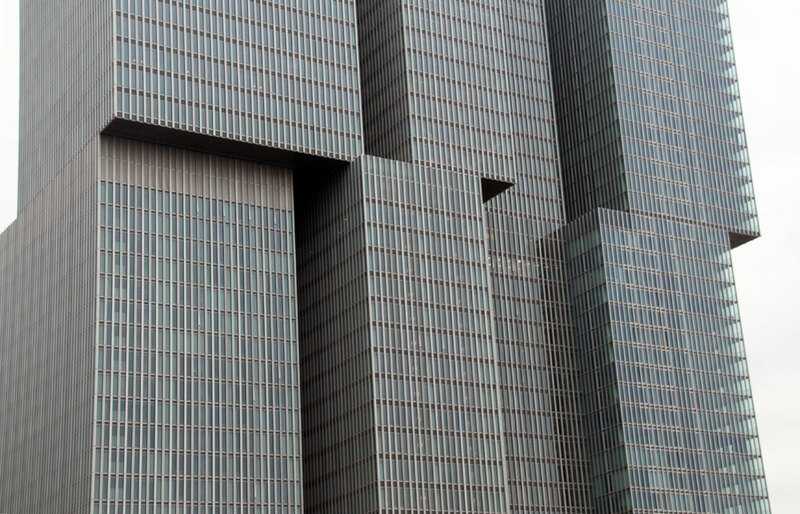 The most celebrated contemporary Dutch architect, Rem Koolhaas, has built the latest of the impressive skyscrapers on Kop van Zuid, the new Manhattan on the Maas. 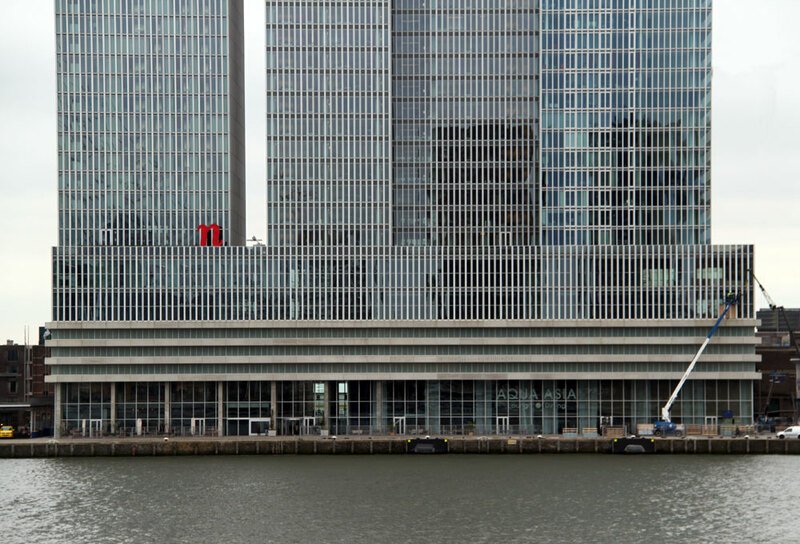 His building is located between the KPN Tower (Piano) and Rotterdam Cruise Terminal and Siza's New Orleans is just to the west on the skyline from the north. 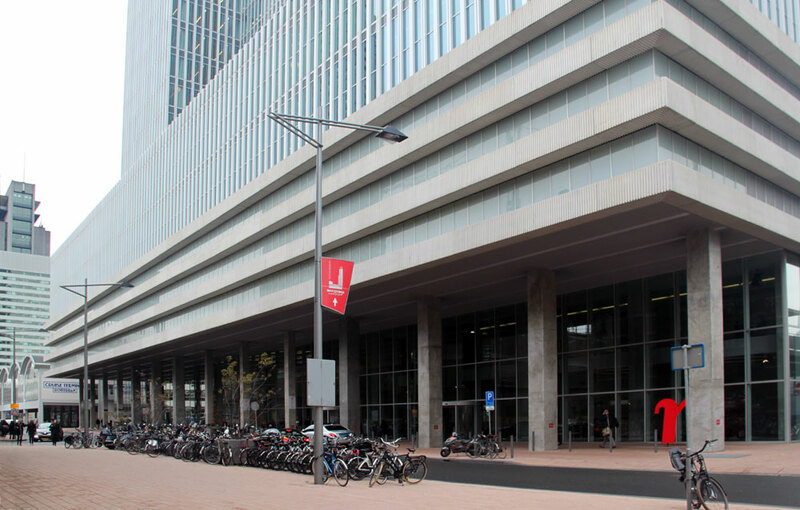 The building is named after one of the original ships of the Holland-Amerika line which transported thousands of European emigrants to New York from from the Wilhelmina Pier. The KPN Tower (Piano) is to the left. 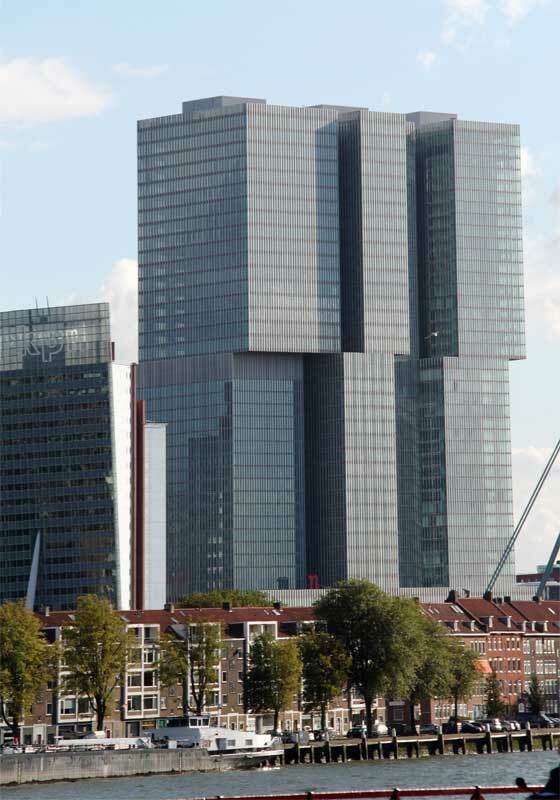 The largest building in The Netherlands and one of the largest in Europe, this striking building houses both offices and residences--more than 70,000 square meters of offices, conferences rooms and the like and then about 240 apartments. 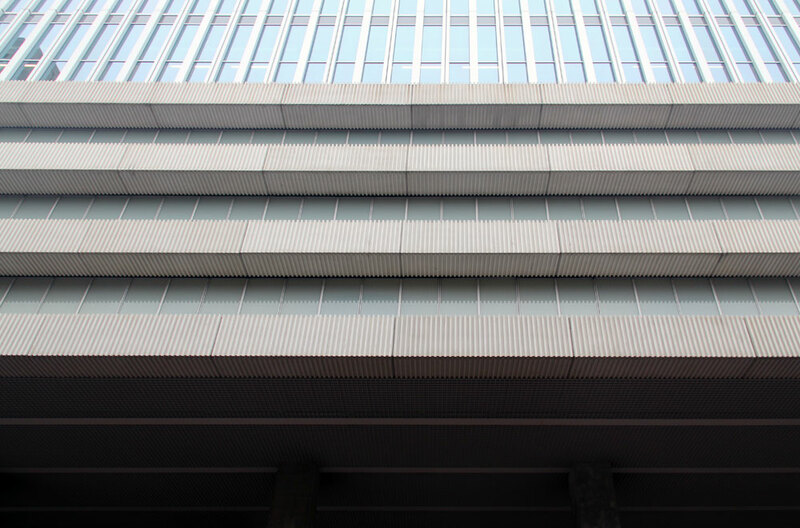 In addition, within there is a 285-room boutique hotel as well as two floors of parking. 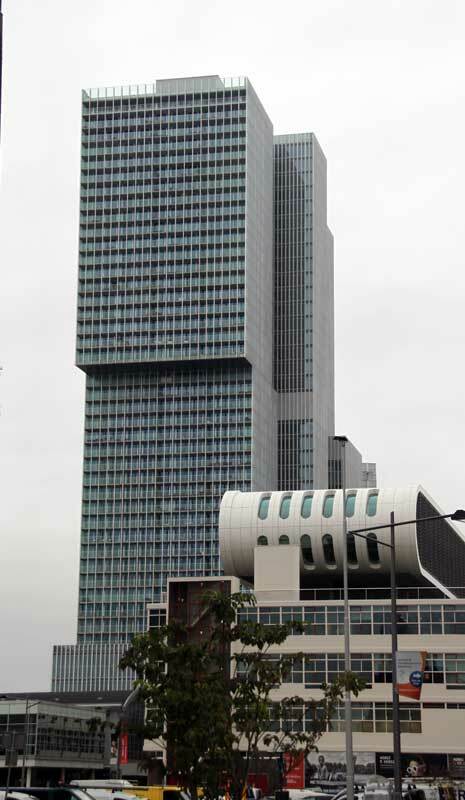 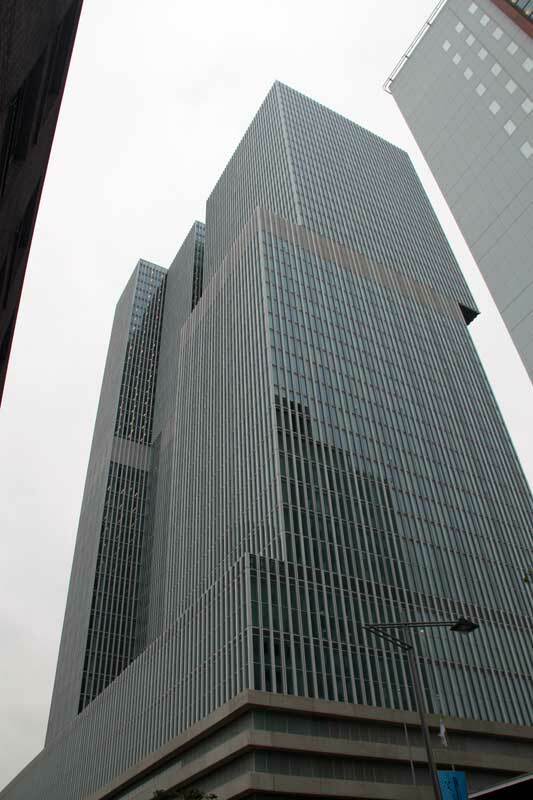 The building consists of three interconnected towers that share a thirty feet high base which includes six floors. 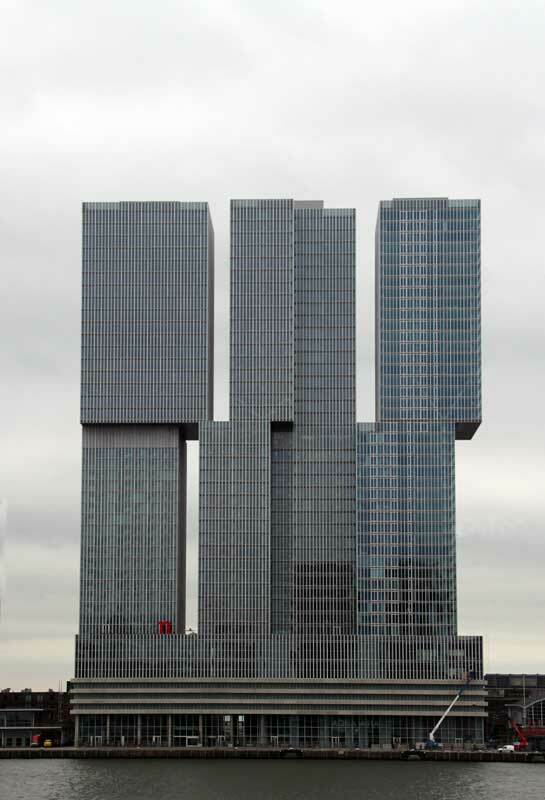 The towers separate and then merge. 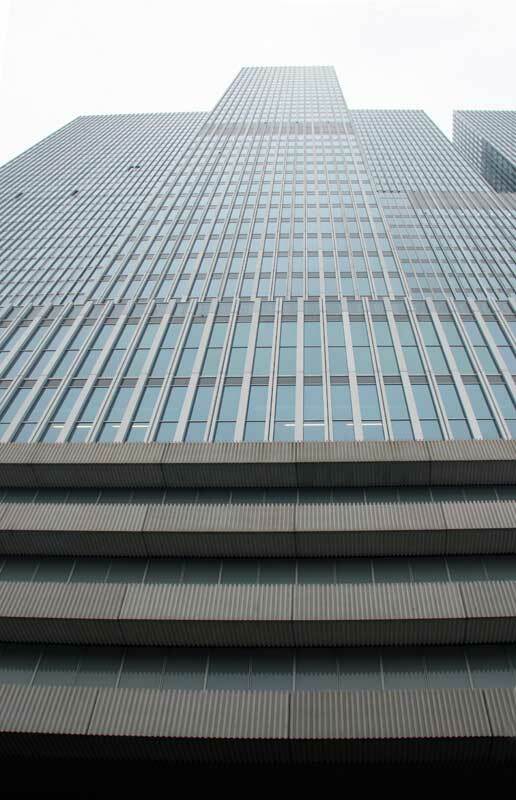 The building is clad in a continuous surface of slender aluminium mullions.